Fellowship Church in Woodbury, MN has a variety of programs for all ages and walks of life. Below are some of our current programs. The Marriage and Family Ministry wants to be a part of helping you keep your family strong, healthy and vibrant. Through marriage counseling, regular marriage workshops, gatherings and much more, we want to walk alongside you and your family, encouraging healthy communication and happy homes. 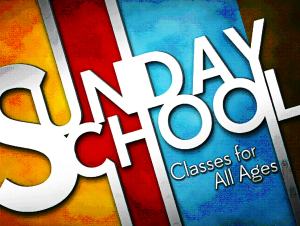 We provide an exciting, Bible based program every 2nd & 4th Sunday’s for all youth ages 5-13. On Sunday mornings, students are dismissed to their classes after the offering. The young people (ages 14 and up) remain in the sanctuary. So if your child is new to church or just needs a reminder of the foundational Bible principles, then this program is for them! We also offer an exciting nursery class for kids from 0-4 where they are taught the Word of God in an interactive, engaging way! Please visit the Information Table to register your child/children. Contact us if you’re interested in the Sunday School Program. 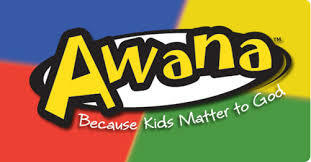 Contact us if you’re interested in the AWANA program. A ministry designed to connect women of all ages through faith, fellowship and fun as we navigate through R.E.A.L. issues in our daily lives together. The acronym R.E.A.L. 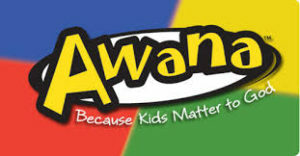 Stands for Relationships, Encouragement, Accountability, Laughter. 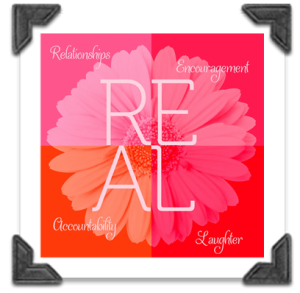 We believe that these four elements are essential to being REAL women serving a real God. Contact us if you’re interested in the His-Story Mens’ Ministry. Serving with a smile of appreciation, a touch of compassion and a kiss of Jesus’s love to those who are left alone. The Silver Lining ministry reaches out to senior adults living in nursing homes and assistant living facilities. Contact us if you’re interested in the Silver Lining Senior Adult Ministry. Launched in March 2014, this program was prayerfully designed to empower and equip the youth ages 7-12 with life skills to successfully transition them into adolescence. Hands on workshops, guest facilitators and outdoor activities are just a few tools that will be used to prepare these emerging teens for everyday life. Birthed out of a desire teach specific skills from a Christian perspective, this program’s primary mission is to provide a solid foundation on which the young people will be able to “do it God’s way!” Sample classes include formal dining plate setting (hospitality), budgeting/finances (stewardship) and public speaking (boldness). We desire to see the youth step up in their faith, family and future! Contact us if you’re interested in the A Step Up youth program. The Next Generation now is a teen bible study that meets on Wednesdays evenings at 6:30pm. This is not a “typical” Bible study. This bible study includes playing games, eating food and having real talk about real issues. Contact us if you’re interested in the Next Generation Now teen Bible study. The acronym G.I.F.F.T. Stands for God’s Invitation For Female Teens. This ministry exists to facilitate spiritual growth in teenage girls (14 – 18 years of age), while helping them become the women God created them to be. This group meets monthly for fellowship and enrichment. Contact us if you’re interested in the The G.I.F.F.T. Ministry. GOING DEEPER is an intense 13 week journey through the Bible designed for the student who is serious about understanding the God’s Holy Word, the Bible. The course takes the bible book by book and reviews the general themes and subjects in the Bible. This course attempts to answer the hard questions people have about the Bible and review the evidence that it is the inspired Word of God. Seats in this study are extremely limited as it is designed to be a small group (6-8 people). Contact us if you’re interested in the Going Deeper Bible Study. Do you or someone you know want to know more about Fellowship Church? If so, we offer a 2 hour seminar called “The Fellowship 101.” It covers the history of Fellowship Church, its mission, vision, core values, foundational beliefs, church government, how you can get connected and requirements for membership. Click here to download the material covered in the workshop which you are free to print and forward to others if you desire. Contact us if you’re interested in the Fellowship 101.